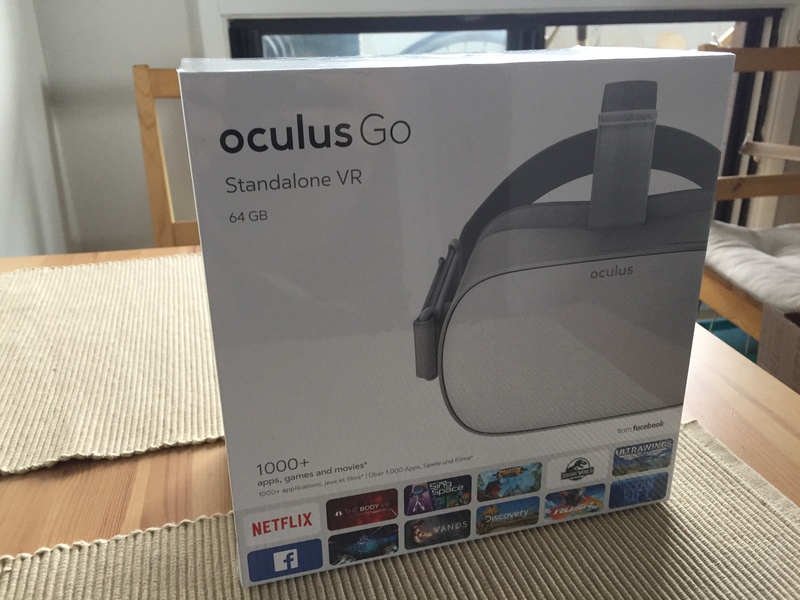 It was with a bit of excitement that my Oculus Go arrived a full week ahead of when it was supposed to arrive in the mail. What drew me to the Go is that it’s the first model that seems to me like it could break the mainstream. It’s in the same price range as a video game system (~$300 CAD), it’s got good enough specs that it can do some impressive demos, and doesn’t require a beefy computer with an expensive video card. The packaging is nice, but let’s be honest, that’s not why you’re reading this. I’ve spent about an hour with the Go so far, and my impressions are mostly positive. The setup was fairly straightforward, but it’s clear from the default privacy settings that Oculus is owned by Facebook. That is: the permissions default to open, and they want your real name (though with the Oculus signup, you can use a username). There’s a few default applications, but it seems a little anemic. 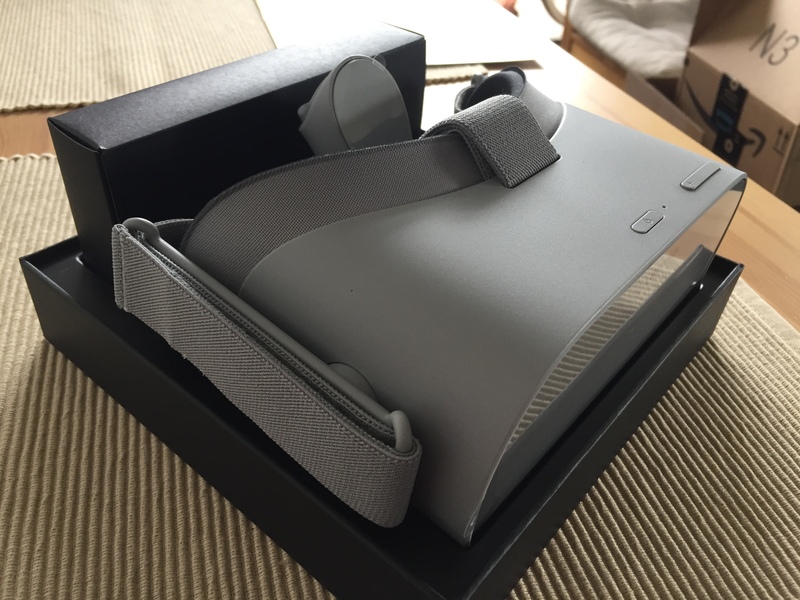 The headset itself is sturdy, and mostly comfortable. The wand feels a little cheap, and it’s got problems where it keeps drifting, requiring recalibration every 10m or so (it’s possible that it had to do with my sitting environment -I’ll be doing a bunch more physical testing this week). My impression of the app store offerings are that they’re expensive (usually around ~$10 CAD), and don’t have a lot of variety. VR is niche (for now, anyways), but a quick look on the Apple or Android stores will show highly polished apps that typically range from $1 to $5. I like the home screen (it’s a slick looking house), but it would be nice if I could just throw on some music, turn off the menus, and chill out. This may already be possible - I’m still digging through all the options. Where I’m hoping to do a lot of work is with A-Frame, which means using the built-in browser that comes with the Go. I’m a little disappointed that Oculus is making their own browser instead of just using Firefox or Chromium. There was a bit of jankiness when I was loading up the demos - some nasty visual artifacts that showed up as fuzz outside of the browser window. My next task is coming up with some benchmarks to see exactly how hard I can push this browser - this will dictate the kinds of A-Frame projects I’ll be working on in the next year.